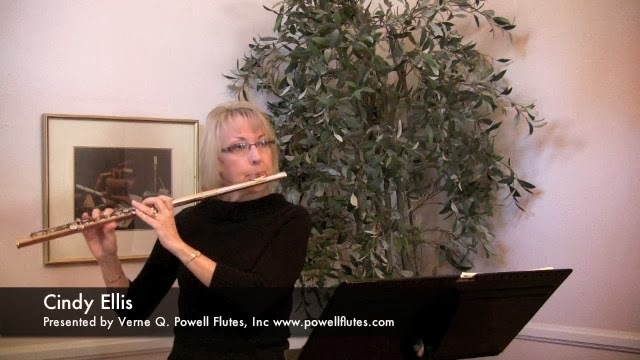 The Poulenc Sonata for Flute and Piano is a staple of the flute repertoire, and as Powell player Cindy Ellis notes, "the opening is one of our most beloved passages...and one of our trickiest as well." The opening's high E is particularly a challenging point, but Ms. Ellis demonstrates some techniques for performing the opening with ease. In the video below, she demonstrates technical exercises using longtones to build control and explains some mechanical options for facilitating the high E (the split-E mechanism and the G disc). Click here to view the video by Cindy Ellis.